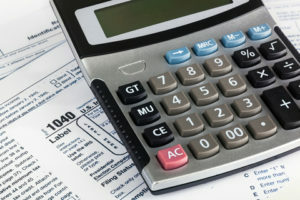 As 2019 comes into full swing, it’s bringing some tax changes with it that will have some big impacts on Canadians and small business owners. With income tax being the top expense for most Canadian families, it’s worth it to be aware of what’s going to change in 2019. 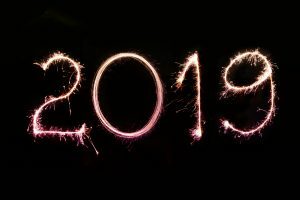 Read on as Liu & Associates highlights a few of the major changes you’ll see in 2019 when it comes to your income taxes. Why Do Tax Rules Change? Taxes can change for a number of reasons. People often see changes to taxes when a new government comes into power, when a government is trying to win favour with voters, or when a loophole is identified. It’s important to keep your finger on the pulse of the tax landscape so you are aware of the changes and how they might impact you. Worst case scenario, you could face a reassessment or penalty from the CRA if you fail to take into account the new tax rules when filing your next return. Canada Pension Plan (CPP) premiums will be on the rise for the next five years due to a program enhancement plan. What does this mean for you? You’ll notice more money off your paycheque going to CPP. The good news is that you’ll eventually get to reap the benefits of this extra money in retirement. While CPP premiums may be increasing, employment insurance (EI) premiums will going the opposite direction. Employment insurance premiums are being decreased by four cents for every $100 of insurable earnings. This is the second year of decreases to EI premiums. Small business owners can rejoice the fact that their tax rate is going down from 10 to nine percent. Similar to EI premiums, this is the second year we’ve seen decreases in the small business tax rate. This reduction makes the combined federal-provincial-territorial average income tax rate for small businesses 12.2 percent, which is the lowest in the G7. 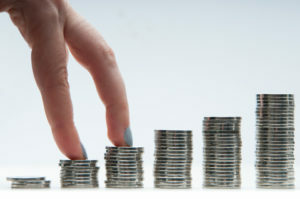 Tax savings means more money to reinvest in your company. The Working Income Tax Benefit is a refundable tax credit that helps to give tax relief to low-income individuals and families. At the start of 2019, the program was renamed the Canada Workers Benefit (CWB) and was enhanced in order to put more money in the pockets of low-income workers and encourage them to stay in the workforce. To keep things easy, the CRA will automatically determine if you’re eligible to receive the CWB and assess your tax return as if you’ve already claimed it, even if you hadn’t upon your original filing. If you need help filing your 2019 tax return, contact the team at Liu & Associates today. Our experts are up to date on all tax system updates and will make sure you get the best return possible. Coming into a lump sum of money suddenly, be it big or small, can be jarring to say the least. A sizable inheritance can represent a life-changing opportunity, if managed properly. Follow these five tips to make sure you’re managing your money smart and effectively to keep you financially stable for years to come. Because an inheritance usually comes with a loss, it’s important for you take time to deal with your grief. You don’t want to be making any major financial decision when you’re in an emotional haze. The second thing you need to do is take a reality check. Before you go quitting your job or booking a flight to Europe, you need to think realistically about what your inheritance is going to do for your life. $90,000 might seem like a lot at the time, but that’s not enough to sustain you and your family for 25+ years. You need to consider whether your new found fortune is going to rewrite your financial goals, or simply just help you reach some of your existing goals a bit sooner. Using your inheritance to pay down or pay off any current debts can help you to reduce your expenses and save you money that would go towards interest down the line. When choosing which debts to pay off first, always pick the loans with higher interest rates first, like credit cards, personal loans, or car loans, before paying off a lower interest rate loan like your mortgage. Determining what your financial goals are will help guide you in the types of investments you make, or the types of accounts you open. It’s okay, and even encouraged, to have a little fun with your new money! Depending on the size of the inheritance, your “splurge” will look very different. It could be anything from some new shoes to a new house! Remember: reason and moderation are what it’s all about. Just because you can buy 10 swimming pools doesn’t necessarily mean that you should! Depending on the type of inheritance you received (ex. Investments, life insurance, etc.) there may be some hidden taxes you are unaware of. A financial advisor or accountant can help you create a financial plan and deal with any tax implications that might come your way. They will help you understand your inheritance, and can assist you in managing it moving forward. For help managing your inheritance, trust the team at Liu & Associates. Call today to book an appointment. Whether it’s a staff holiday party, birthday celebration or just a year end gift, there are rules surrounding giving your employees gifts. Follow the rules, and both you and your employees will benefit on your tax return. 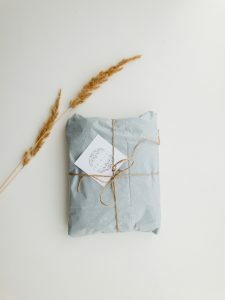 Gifts that follow the guidelines set out by the Canada Revenue Agency (CRA) are not only tax deductible for you as the employer, but your employees won’t have to declare the cost of the gift as part of their taxable income. Don’t get dinged at tax time just because you were trying to recognize your employees. Read on to learn about the tax rules for employee gifts. Employees may receive up to $500 in non-cash gifts each year before the gift becomes taxable. Employer-hosted social events where the cost is $100/per person or less. Gifts in recognition of long service can be given once every five years and are not taxable so long as the value is less than $500. Small, valueless items such as coffee, snacks, mugs, etc. The number of non-cash gifts an employee can receive is unlimited as long as the combined total value doesn’t exceed $500 annually. More so, small gifts, such as coffee, plaques, and mugs don’t count towards this limit. When Does A Gift Become A Taxable Benefit? Non-cash gifts that exceed the $500 annual limit. Ex. If you gift your employee a total of $700 in non-cash gifts, $200 of that is considered a taxable benefit. Cash or near-cash gifts. This includes bonuses and gift cards. Reward points that are redeemable towards travel, accommodation, or other rewards. Reimbursing an employee for a gift they selected and paid for. Any sort of gift from a manufacturer given to an employee of a dealer. The business tax landscape can be extremely difficult to navigate alone. A qualified business accountant can help ensure that everyone in your company gets to experience the joy that is associated with the giving and receiving of gifts. If you have questions about employee gift giving, call the team at Liu & Associates today. Taking the next step with your business can be just as vital to its success as your first day of operation. As any owner knows, finances are central to commercial viability– but there is much to consider when growing your business. Keep reading for Liu & Associates’ introduction to the complex financial needs of business growth. #1: Does your business have the appropriate funding? Unless you have considerable savings or borrowing power, growing your business requires a considerable influx of capital. If you are searching for investors or elsewhere for funds, make sure they honour your values and share the same vision of the future. Once acquired, every dollar should be accounted for and put to work efficiently in the most impactful areas. #2: What is your business reputation with its clients? If you are considering growing your business, it is important to have a strong relationship with your customers. Sales, retention, quality assurance– these are just some of the important aspects of customer service that you should prioritize before expansion. Often, good client relationships will naturally help indicate when your business may be ready for growth. You may have the funds and a solid customer base, but it is extremely difficult to attract new business without recognizable branding, attractive design and a healthy social media presence. While unique products and services are important, clients are human– they are more likely to choose options with clean and clear design. Also, modern customers favour brands with engaging, non-repetitive online content that is updated regularly. #4: Is your business ready to evolve? If you want your business to stick to what it does best and keep doing it well, growth may not be the most prudent option. Businesses only thrive when they are equipped for the demands of their industry– refusing to change means you are more likely to be left behind. Remember: you don’t know what you don’t know! Consider speaking with financial professionals, industry consultants and even other business owners. #5: Do you want your business’s scope to widen, narrow or remain consistent? Growing your business does not always mean changing what you do, but it usually changes how you do it. If you plan on taking the next step, consider whether you want to increase your business’s market share or diversify its services. Each has advantages and disadvantages, but your success relies on how ready your business is to tackle the new challenges. If you want to maintain the scope of your products or services, you may want to delay plans for expansion. #6: What is your business’s long-term goal? Look ahead five or ten years– where do you see your business? Is it neck-and-neck with competitors? Do you hope to acquire other businesses? Would you rather sell it off and move on to your next project? Each answer to these means a different strategy and plan for growth, but all are attainable with a well-organized, detailed business plan. The considerations above are only a brief summary of the reality of growing your business. Each point introduces a change that comes with growth– for a comprehensive discussion of their financial consequences, contact or visit Liu & Associates today! COMPANION CREDIT: Can Pet Expenses be Tax Deductible? Everyone thinks their pet is the best… and they are right! This is common knowledge for most animal lovers and owners, but can your animal companion actually earn you tax credits? The short answer is no: Bella, Fluffers or Mr. Pickles likely does not qualify, no matter how good they are at cuddling or looking cute. Still, there are some cases where a portion of buying, training or feeding an animal can be used as a deductible. Keep reading for Liu & Associates’ guide to some of these benefits! Usually listed under medical expenses on income tax forms, you may qualify for benefits or credits if you or a dependent requires the assistance of an animal. Consider submitting the necessary receipts if you pay for regular animal therapy or the purchase, training and upkeep of a service animal. If you own livestock, herding animals or guard animals in order to operate a business, you very likely can claim a portion of their initial purchase as well as costs of caring for them. Optimizing your tax return is vital for the successful operation of ranches and farms of any size or scale, so do not overlook the benefits and credits available to you. Moving residences is one of the rare cases where your family pet(s) could earn you an income tax credit. Since moving means your pet(s) and the necessary supplies need to come with you, there are some accommodations for reporting any related costs. Also: if your business relies on transporting your animals, a portion of your fuel and maintenance costs should always be claimed as deductible. If you give to shelters, rescues or other non-profit animal welfare organizations, always request a tax receipt when eligible. A charitable donation is one of the easiest ways to express your love for domestic animals while earning income tax credit. 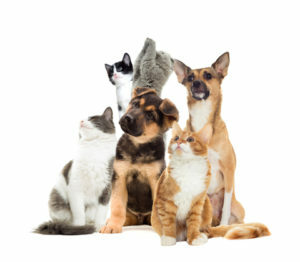 Costs related to fostering and sponsoring animals for certified organizations may also qualify. Not just limited to dogs, animal ownership is a multibillion-dollar, worldwide industry– there are countless industries and professions that thrive within it. Always claim any eligible expenses directly related to your job! For example: a dog walker can claim a portion of their fuel and maintenance costs, if they use their personal vehicle to transport dogs to and from their clients’ homes. The five scenarios outlined above are only some of the ways owning or caring for an animal could lead to income tax deductions, credits or benefits. For a full understanding, contact or visit Liu & Associates today with any issues, complications or concerns! One of the most common misconceptions people have about family trusts is that they’re only for incredibly well-off families. That couldn’t be further from the truth. Keep reading for our introduction to family trusts and how they can be beneficial to you! A trust fund or family trust is a legal agreement two parties in regards to assets to be passed on. A trust can contain money, stocks, real estate, and/or other assets. The settlor or trustor – this is the person or entity who establishes the trust fund with the initial contribution. This can be a company, family member, or even a family friend. The trustee(s) – the person, people, or entity responsible for the management and administration of the trust fund. Typically this is a financial institution or legal entity, though in some cases it may be a family member. The beneficiary/beneficiaries – The person or people that will receive the benefits of the trust, usually children and/or grandchildren of the person who established the trust. While the specific roles of each party will vary between different types of trust funds, they are required in every situation. There is a huge variety in the types of trusts available, including living trusts that become effective right away, revocable trusts that allow you to keep control and ownership of your assets, and irrevocable trusts which allows you to transfer ownership and control of assets over to the trustees. There are a number of different benefits for setting up a family fund for both the settlors and the beneficiaries. 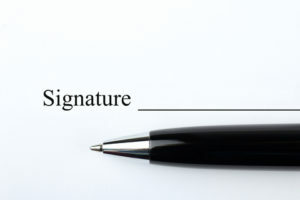 For certain types of trusts, once an asset is placed in the trust it no longer belongs to the settlor. This means that the settlor would not be required to pay income tax on money made off of those particular assets. For beneficiaries, there is a similar benefit. Since assets within the trust do not belong to them, beneficiaries would still be eligible for things such as student aid. One of the greatest benefits may be a sense of security for the beneficiaries. As opposed to handing out a single payment that could be wasted and spent irresponsibly, a trust can be set up with certain stipulation for beneficiaries. For example, you can dictate that the beneficiaries may receive a monthly or yearly payment as long as certain conditions are met. Furthermore, you can make specific guidelines on how the money can be spent (education, investments, etc.). A family trust is a great way to ensure that your children and grandchildren receive the maximum benefit from what you’ve passed on to them. As mentioned earlier, trust funds are not exclusively for those who are well-off. Anyone who has assets that they would like to protect for future generations would benefit from at least exploring the option of a family trust. There are limitless options for family trusts, allowing you to choose something that best meets the needs and wants of you and your family. Don’t be afraid to explore your options! For more great advice on family trusts and estate planning, contact the team at Liu & Associates today! 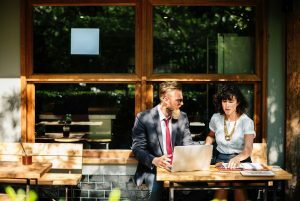 While freelancers and business owners may be quite familiar with tax credits, benefits and deductions– it is no guarantee that you are getting everything that could be owed to you. Also, these opportunities often apply to anyone filing taxes… even if they did not earn any professional income in a given year. Keep reading for our top seven most forgotten and overlooked tax credits, benefits and deductions! No matter how you earn your living, if you make taxable income– you are eligible to claim certain costs incurred in pursuit of it. While self-employed taxpayers are familiar with the many ways to claim a tax credit, you should not overlook them if you work for an employer. Commuting costs, business lunches and qualified expenses are just some the more commonly claimed credits. If your profession requires you to pay for certain privileges or qualifications, you may very well be able to claim all or a portion as an income tax credit. Examples of such expenses are union dues, licensing exam fees and professional certification payments. This one is easier to remember, as the national and provincial student finance authorities issue tax forms to anyone paying back student loans. 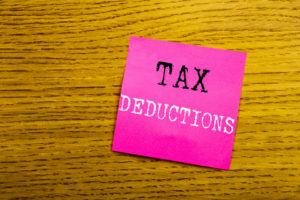 To make sure you do not miss out on these deductions: always keep your current mailing address and contact information on record. Parents are busy people! It is understandable why taxes are not at the front of your mind, but credits and benefits can mean more money to raise your family. Always file your taxes to qualify for annual benefits for dependent children and be sure to review eligible credits related to childcare expenses. Tax credits can be earned through your own disability, the disability of a dependent, injury or illness, dietary requirements and many other conditions. Your health should be your first priority, so make sure you file your income tax by the deadline every year. The burden of your medical costs can be reduced by keeping your information current and providing the required documents. Have you moved this year? Did you hire movers, rent a truck or use your own vehicle to transport your belongings? You are likely eligible to claim income tax credits for a percentage of your expenses– businesses may also qualify! Owning a home means you have a lot of responsibility, but just like maintaining and up keeping the property: your finances should always be in order. This does not mean paying your mortgage in record time, but it does mean taking advantage of every credit and benefit available to you. There are government programs that reward first-time owners, as well as those renovating or upgrading their existing homes. The seven tax credits, benefits and deductions above are just a few of the most commonly forgotten– contact or visit Liu & Associates today for a comprehensive review of your eligibility. When it comes to running a business, a new business owner may overlook the fiscal year or tax year. While many business owners may default to utilizing the calendar year as their fiscal year, there may be advantages to choosing a different time period. A calendar year is relatively self-explanatory: January 1 to December 31. A fiscal year be any chosen start and end date within the calendar year as long as it is no longer than 53 weeks or 371 days. For example, a business that incorporates on July 1, 2018 could choose a year end of any date within the following 53 weeks. Once the year end date is chosen, it will remain the same year-to-year. Taxes for businesses using the calendar year are due on April 30. Taxes those operating on a fiscal year are due 6 months following year end. 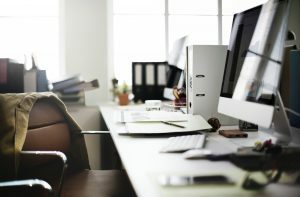 Typically sole proprietorships or partnerships utilize a calendar year, though they can request to use a different fiscal year in some cases. Corporations are always able to select a fiscal year if they so choose. Arguably the greatest advantage to using the calendar year as your fiscal year is simplicity. It’s fewer random dates to keep track of amid meetings and bill payments. The calendar year is simple and it’s commonly used by the majority of businesses. However, businesses who do choose to utilize the fiscal year generally do so for a strategic reason. For example, seasonal businesses may choose to shift their year end to reflect their busiest time of year. This is common with large retailers who benefit from the Christmas season. Deferring their year end by a month or two really allows them to judge how successful the holiday season was for them. Another possible reason to utilize a fiscal year comes down to balancing income and expenses. This is particularly beneficial for businesses who have received a capital investment or some other source of funding. Ensuring that you receive and spend these investment within the same tax year ensures that you don’t find yourself in a bind come tax season. Whether or not a fiscal year is a good option really comes down to two different factors: the type of business you run, and your own personal preference. For expert advice and financial planning for your business, contact or visit Liu & Associates today. It’s no secret that the cost of a university education continues to increase every year. Planning for your child’s education now allows you to save as much as possible to give them a step up when it comes to post-secondary costs. 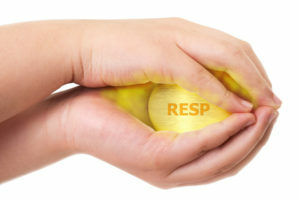 RESP stands for Registered Education Savings Plan. These are plans that allow parents to put aside money for their child’s education. RESPs aren’t limited to just a child’s parents. Any adult is able to open up and contribute to an RESP on behalf of a child. The first iteration of an RESP dates back to 1974. The program was overhauled in 1998, with the Canadian government now contributing to RESPs as well through the Canadian Education Savings Grant (CESG). Some provincial governments also contribute to RESPs through various savings grants. You can open up and RESP through most financial institutions and some scholarship dealers as well. As mentioned above, anyone is able to open and contribute to an RESP. However, there is a lifetime contribution limit of $50,000. While there is no annual contribution limit, CESG can only be received on the first $2,500 contributions per year. These are some of the general restrictions that apply to all RESP accounts. Individual RESP providers may have different requirements, so be sure to do your research when choosing a provider. As with any type of financial planning, the sooner you start saving the better! Contributing to an RESP early on will ultimately lead to your child having more money saved up for their education. You can contribute to an RESP for up to 31 years after it’s been opened, providing plenty of time to accumulate savings. There’s no time like the present to start thinking about saving for your child’s education. Liu and Associates offers personal financial planning services to help you reach your goals in a timely and efficient manner. Make an appointment with one of our accountants today!